Theolyn Cortens is a poet, scholar, metaphysical explorer, astrologer and author whose well-researched books about Angels and the Nephalim combine channeled inspiration and ancient wisdom with practical suggestions for personal spiritual development. Her work has been translated into several languages. When she was thirty, Theolyn had a powerful mystical experience in which she was surrounded by other-worldly light and heard angelic voices. This event prompted her to join the Alister Hardy Centre for Research into Religious Experience, and study the history of Angels for her Masters degree at the University of Wales. Martin Treacy originally trained as a physicist at Oxford University, leaving research in Atmospheric Physics to develop his deep interest in meditation and a number of Eastern philosophies, before taking a first-class degree in psychology with the Open University. He then combined his interest in Eastern and Western approaches to personal growth with a PhD in transpersonal psychology, and was co-founder (with David Fontana and Ingrid Slack) of the Transpersonal Psychology Section of the British Psychological Society. He also has a first-class OU degree and postgraduate diploma in religious studies. Martin has over 35 years experience of holistic growth techniques such as meditation (particularly Zen and Tibetan Buddhism), cognitive reprogramming, energy work (both within the body, and working with sacred landscape), and working with spiritual sound. He has worked with Bach flower remedies for 25 years, and is a qualifed Bach Flower practitioner (training at the Bach Centre). He combines working as an Associate Lecturer for the Open University psychology degree programme, with intuitive work helping people and energy work with sacred landscape (particularly in the Preseli hills near to his home in Cardigan). 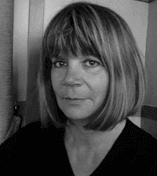 Faith Nolton blends shamanic and soul practices with sacred picture-making. Trained in both shamanism and art, Faith is author of two books about her work, and is founder of Sacred Hoop Magazine. Her own pictures are intentional energy windows, soul-sourced icons that connect the Everyday with Otherwhere for healing, blessing, joy and peace. Faith also guides those seeking a personal visual language to express and explore their own inner visions, dreams and soul stories. In this process each picture - birthed within a sacred, dedicated, intentional space - becomes a conversation between individual soul and Spirit/highest Source. In this way the picture maker is not in the role of ‘artist’ (directed by ego), but is receiving, recording and manifesting that which Spirit wishes to birth. Matt Berry is the founder of West Wales Tai Chi, he started learning and studying Qigong in 1997 , shortly after he started his journey with Tai Chi Chuan . He was then 20 years old and thought that this Tai Chi stuff was just for old people because it was so slow! Yet after attending his first class he felt he was buzzing , he had a lot more energy , he could focus more , both his mind and body were totally relaxed. With time Matt healed old injuries that plagued him for many years. The most notable one was a hip and back pain from an injury he sustained when he was 13yrs old. He had broken his hip and pelvis in two places and nearly had broken his spine. Later in his late teens his hip and back gave him pain. As a youngster he also suffered from asthma and at the age of twenty he still had to use an inhaler from time to time. After about two years of Qigong and Tai Chi training 3/4 times a week, the asthma inhaler was never needed again and the pain in hip/pelvis area and spine was gone completely! He was convinced too that he had grown at least 2 inches in that time! He started to realise that Tai Chi and QiGong were teaching him more about himself that what he was learning about them! The truth is that most people take up tai Chi for its health benefits and that is fine, but to truly benefit from all its health giving properties the Martial side should never be totally overlooked! After studying and practicing meditation for over 30 years, Christopher is now an author and director of the Such Sweet Thunder meditation program, Chris teaches from the belief that the practice of meditation can bring about a much needed inner peace and harmony. Christopher has received formal training in Zen, Mahamudra, Dzochen from the Tibetan traditions, Vipassana and Vedanta from the Indian traditions, and Mindfulness and Shambhala from the relatively modern American traditions. Having witnessed the Sept 11th incident in New York City, Christopher dedicates his life to these teachings with the hope of passing on the practice to others. His intention is to bring about a new, more peaceful, loving, and compassionate worldview. It seems that the soul has its own journey, a purpose - mission it has to fulfil. I decided to listen to that inner voice. I had faith and trusted that everything would be as it should. So without a moment's hesitation left my job and decided to live my dream, follow my soul path, embarking on spiritual and magical quests. Now after experiencing so much I am ready to share what I have been taught through walking the landscape, walking in Annwn, I have come to realise that these places are connected to the very Heart of Gaia which have been honoured by the ancestors of these lands over so many generations, resulting in the high healing energy which is free for all to experience. I have been inspired to set up Dreamwishdo for those who might be awakening in consciousness or who are on a spiritual quest, that they might experience a powerfully transformative encounter with the mystical presence of the sacred land. As a spiritual guide, Land Whisperer I am focused to facilitate connecting you to the Earth Mother's healing beauty of life that will create an inner love to keep balance in the Web of Life. With every step she shares her information about the land and ancestral wisdom, where you are invited to open your minds and your hearts to the magic that is always there. The Earth is a Magickal place and a source of constant marvels. Ceredigion Complementary Therapy and Wellbeing Services provide well-being days, events and outreach services within the beautiful coastal County of Ceredigion. Their logo represents a quality service and promotes self-love and care - where-ever you see it, you can be assured of a good standard of service. At heart Caroline and Kerry are spiritual people who incorporate; grounding, chakra balancing, healing, meditation and mindfulness into daily practice. It is their vision to empower others to discover their gifts and to use them for the greater good. Caroline became aware of her natural spiritual, healing and psychic abilities at an early age and she has continued to work from her heart using her intuitive and healing gifts in all her endeavours ever since. Knowing her abilities would be well suited to working within the caring sectors, she easily merged her spiritual and compassionate side with her nursing career. 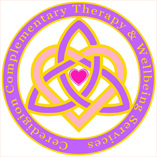 During the late 80’s when starting her career path in to nursing Caroline was introduced to the powerful and therapeutic effects that complementary therapies can have on the physical, emotional, mental, energetic and spiritual health of individuals. She developed a passion for complementary therapy believing wholeheartedly in its power and the potential possibilities of how it can work effectively alongside care settings. Over the years Caroline has had the pleasure of sharing the holistic benefits that complementary therapy has to offer. As her healing energy intensified Caroline recognised that in order to remain an effective channel she needed to develop her own spiritual self further, learning the importance of aura cleansing, chakra balancing, grounding and protection all of which she continues to incorporate in to her daily practice today and is able to pass on this knowledge to assist others on their journey. Not wanting to stop there Caroline qualified as an Advanced Clinical Complementary Therapist in reflexology, massage therapy and aromatherapy, she became a Teacher of Developmental Baby Massage, Reiki Master Teacher and she is currently working toward the foundation of crystal healing therapy with ACHO. Now a registered and practicing mental health nurse, registered complementary therapy practitioner, owner of Carolines’ Holistic Health, co founder of Ceredigion Complementary Therapists’ Wellbeing and Networking Support group and Ceredigion Complementary Therapy and Wellbeing Services she is able to promote integrated health and wellbeing, advocating quality assurance in complementary therapies within Ceredigion ensuring that the public receive the best service possible. Kerry channels and teaches the beautiful ancient 5th Dimensional energy that is Rahanni Celestial Healing - Healing for the heart. Kerry has always been spiritually aware from a very young age. An empath interested in helping others through their own spiritual challenges, using her skills as a complementary therapist and wisdom gleaned from her own experiences. In short, this led Kerry to be attuned to Rahanni in 2007. Her vibration raised, she was shown effective “tools” in grounding, protection and it helped her to find a state of balance between both worlds and inspired her to offer guidance to others starting out on their own path. The same year, Kerry qualified as a reflexologist. In 2013 she qualified as a Rahanni teacher then went on to study levels 1, 2 and 3 on Ascension (basics) and able to teach others. Kerry is currently studying towards a foundation level certification in crystal healing therapy through ACHO. My greatest joy and enthusiasm comes when we get together to raise our Heart and Soul energy with sound, co-creating something much bigger than ourselves, radiating the higher frequencies throughout our bodies and out into the world. Working and playing with Sacred Sound inside and around our bodies, inside a room or building, and out in and with Nature. Sounding like this is a magical and mysterious journey of discovery. In this workshop, I shall be sharing some keys for unlocking more of who we are as we focus on sounding with enjoyment. TOGETHER we are so phenomenally powerful. When we start to enjoy the sound, to feel and allow it…we flow effortlessly into natural harmony…together. This is a wonderful revelation of our True Nature. Being together in HARMONY…expressing our Divine Nature. The experience can be: energising, fun, exciting, moving, connecting, purification, deeply healing, and such a WONDERFUL FEELING. By doing this together we can FEEL our own Soul in our body….the more we do it..the more our authentic Soul Sound reveals itself. We can FEEL the Soul Connection with one another and with Nature. We enter the SPACE OF ONENESS = the threshold of the DIVINE inside each one of us. FEELING THE LOVE IN SYMPHONIC SOUND is a way to live from the Divine. The unseen power of the Universe. I believe that now is the time and opportunity for coming together as never before in co-creative unity. Life is asking us to live our lives from our Soul Consciousness. We each have our own individual soul spark - to inspire, teach, lead and heal us. It is when we actively engage with this most sacred part of ourselves… (beyond the egoic mind), and allow it to lead, that we can truly start to live our wonderful human potential and create the life we were born to live. Together. Everything we need truly is already there inside us… awaiting our discovery, love, and attention so that we can blossom and grow happy and healthy, positive, active and creative. I have been singing The Gayatri Mantra, the holiest of Mantras for over 12 years now as part of my daily meditation practise, sung in many choirs and groups including Alice Tierney’s Soul Sounding Choir in London as well the The London Philharmonic Choir as well as taken part in workshops with Chloe Goodchild of Naked Voice, and with Briony Greenhill. Now, I am part of a new venture, ‘The Firebirds’, a soul sounding improvisation and harmony group here in Pembrokeshire. I enjoy going out into Nature here in the magical landscape of Pembrokeshire to sing with and for the streams, the plants and trees, the land, the rocks and the animals. The expression of Radiant Sound is becoming a guiding light and inspiration in my life, and something I love to share. Meditation is part of her life.